The long-awaited Dreamvar decision was handed down by the Court of Appeal yesterday, and has since sparked mixed views among organisations and conveyancing professionals alike. Following a controversial High Court ruling in 2016, the appeal judgment has been long awaited by the industry, who have been in search of clarity over which party should bear liability where fraud is present in a transaction. Below, we look at a range of responses to the decision, providing a true insight into how professionals predict both themselves, and the transaction process will be affected. “Mishcon de Reya had admitted liability for breach of trust, so the Court of Appeal did not address whether that was correct, but the Court found that the solicitors acting for the fraudulent sellers, Mary Monson Solicitors and Owen White, also acted in breach of trust and were liable, which will be helpful for Mishcons. “Having said that, despite the helpful findings elsewhere in the judgment, from a practical perspective Mishcons now have to pursue a contribution claim against Mary Monson Solicitors, so for the time being at least, they are still left holding the ‘damages baby’. Lady Justice Gloster gave her own judgment indicating that she considered that that was an unnecessary step and that Mishcons should be absolved with Mary Monson Solicitors having the liability from now, but she was not in the majority, unfortunately for Mishcons. 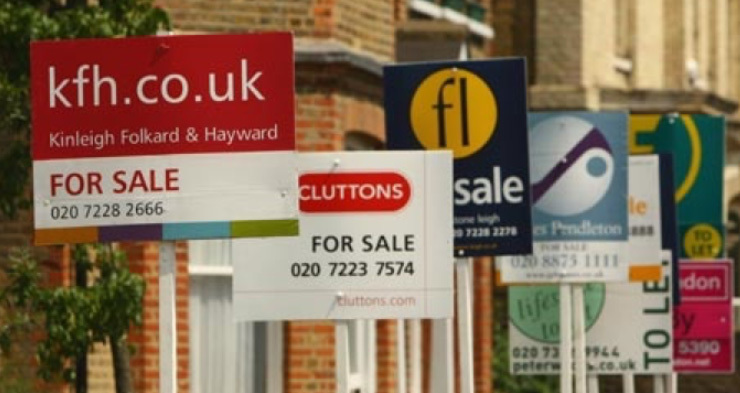 “Whilst this is good news for consumers who have been victims of fraud, it could have a detrimental knock-on affect for the innocent consumer as well as many of the stakeholders in the Conveyancing process especially conveyancers and their insurers. “In the short term there is a risk of higher insurance premiums, and as a consequence higher Conveyancing fees coupled with delays in transactions as inertia sets in with buyers’ and sellers’ solicitors for fear of liability for breach of warranties, trust or undertakings, even if unintentional. Many selling Conveyancers will resist giving express warranties on identity which will create delays. “On a positive note, the judgement should encourage better practice from Conveyancers and may prevent further de-skilling of the profession. The Seller’s Conveyancer will (if not already) need to undertake more stringent checks on the seller, and the Buyer’s Conveyancers will need to be more vigilant and raise appropriate enquires with the seller’s solicitors when it comes to higher risk properties eg those without a mortgage. “This is an eminently sensible judgment, which removes the uncertainty created by the earlier decisions in the first instances cases, and ensures that victims of fraud can now recover their losses, which in these and other cases have been significant. “There is no question that the decision has significant ramifications for all members of the legal profession, and the decision will affect all transactions (whether property related or otherwise). “This is a ground breaking decision that will be welcomed by innocent purchasers and their financiers where there has been property hijack fraud. Based on this decision, they can now look to the solicitors who innocently acted for the fraudsters as well as their own solicitors for redress. “This is unlikely to be the end of the debate about who is liable for losses in a property hijack case. Solicitors will say the balance has shifted too far towards them, with the purchaser’s solicitors effectively now guaranteeing property transactions. ” A curate’s egg judgement. “As we expected in our prediction, there were no material changes so we would not expect it to be over turned. However, it is interesting to see some mitigation going on. “While comments about the case make some reference to unfairness to solicitors who were innocently involved it is the unfairness to the clients that worries me. “They have suffered years of uncertainty and, had they wanted the properties for owner-occupation, the stress could have been life-changing. A system which does not prevent this as far as possible should be regarded as unfit for purpose. “Misdirection of money is known as a Friday scam because scammers know when solicitors are at their busiest and exploit the fact that some firms are insufficiently resourced to deal with the pressure. The full report of the case indicates to me that some scammers carry out due diligence by making (for example) a false mortgage application to test a firm’s AML performance. “Being a solicitor does not mean that someone is good at conveyancing. Some of my worst experiences have been with matrimonial lawyers dealing with the property aspects of a family break-up. “The reserved matters regime must move from requiring membership of a professional body alone.